Баку-Тбилиси-Карс: на чью мозоль наступил? Зона конфликта. Могут ли миротворцы принести мир? "He will return to his country as the herald of the law and that's how he will be perceived there." Armenian media apparently experience a "period of stagnation." How else can we name the fact that Armenian propagandists began to stir up the release of Azerbaijani officer Ramil Safarov, accusing Hungary of all deadly sins? For our foreign readers, I will remind: In 2004, in Hungary, Ramil Safarov was sentenced to life in prison for murdering Armenian officer Gurgen Margaryan. Safarov killed Margaryan with an ax for the fact that he repeatedly and publicly insulted the Azerbaijani flag, the people and the memory of those killed in the Karabakh war. Armenia and world Armenians, who immediately ranked the murdered Margaryan to ‘national heroes’ and ‘martyrs’, perceived with fury the release and pardon of Ramil Safarov, who was extradited to Azerbaijan, pardoned and reinstated in the Armed forces in the rank of a major. According to the criminal case, Safarov's case (which the Armenian side does not naturally read) says nothing about the fact that Margaryan was killed while sleeping. The fact is that the doors in the dorm rooms, where the officers stayed, were opened with the help of an electronic card, which is only available to the owner of the room. That is, Safarov could not penetrate unnoticed or open Margaryan's room to kill him when he was sleeping. This is confirmed by the testimony and media statements of Armenian officer Hayk Makuchyan, who became the main cause of the incident. We will not go into the details of the events that took place that night, as much is written about it in Armenian, Azerbaijani and foreign media, and we will focus our attention on the fact that does not attract much the majority of the Armenian public who perceives Margaryan’s murder too emotionally. 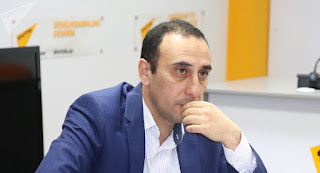 Rizvan Huseynov, the historian and director of the Center for the History of the Caucasus, reminded Vesti.Az that Armenia and world Armenians consider it a heroism to kill women, children and any person "in the name of Armenian ideals". During the last century, dozens of Armenian terrorists and killers were acquitted by European and American courts, released and now considered "heroes." Some of them were extradited to Armenia, where they received all the honors and benefits of "Armenian heroes" from the official authorities. For example, on April 24, 2001, the head of the French cell of Armenian terrorist organization ASALA Varujan Karapetyan (Garabedian), who organized the terrorist attack at the Orly airport and was sentenced to life imprisonment by the French court, was released and extradited instead of his homeland (Syria) to Armenia, though he had never been to that country and had no relatives there. It should be reminded that the terrorist attack he organized on July 15, 1983, killed 8 civilians (4 French, 2 Turkish, 1 American and 1 Swedish citizens) and injured 55. Varujan Karapetyan was pardoned by Armenian President Robert Kocharian on his way to Yerevan. And during the meeting with Karapetyan on May 4, 2001, Armenian Prime Minister Andranik Margaryan expressed his joy over his release from the French prison, and shortly before that, Yerevan Mayor Robert Nazaryan promised to provide Karapetyan with work and housing. Then, representatives of the Armenian intelligentsia Silva Kaputikyan, Gevorg Emin, Perch Zeituntsyan, Zori Balayan and many others raised Karapetyan to the rank of a national hero. It's strange that European and American officials, media and society did not react at all to the fact that the murderer and terrorist who killed the citizens of European countries was so much honored in Armenia. Instead of condemning Karapetyan’s release, European officials sent him congratulatory telegrams and letters. French officials and lawyers were first to congratulate Varujan Karapetyan. The adviser to the French Penitentiary Service, Mr. Le Cordonnel then wrote to Karapetyan: "I am glad that France, after the recognition of the Armenian Genocide, has managed to grant you such a long-awaited conditional release by appropriate authorities. At the moment when I heard about the adoption of this decision, I thought about you with excitement. At this new stage in your life, I send you my best wishes. " And the French lawyer Eric Pluvier in his petition for Varujan Karapetyan’s release in 2000, addressed French Minister of Justice Elizabeth Guigou saying: "He will return to his country as the herald of the law and that's how he will be perceived there." Armenians also glorify Nazis, including Nazi general, Garegin Nzhdeh, personally proud of the destruction of 32 Azerbaijani villages in Zangezur (meaning thousands and thousands of innocent people), who was reburied in 2000 near the city of Gafan in today's Armenia. This place has become a place of pilgrimage. In commemoration of the memory of the nazis, the Armenian government established the Medal of Garegin Nzhdeh. And according to the book of the American researcher Samuel Wims, more than 100,000 Armenians (mainly from among professional killers, marauders, scammers, criminals) were associated with the crimes of the Third Reich against humanity. In Hungary alone(where Ramil Safarov was convicted), during the Second World War, the ‘Fuhrer’ of Hungarians appointed by the Nazi regime, Armenian Ferenc Salosyan (Salashi) terminated about half a million Hungarian Jews, according to the materials of the Budapest court. 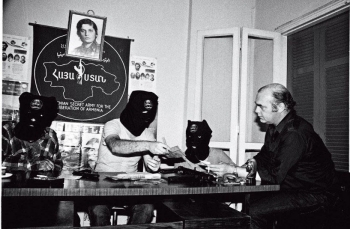 That is, there is a hypocrisy and ambiguous policy of Western society and political circles when it comes to Armenian Nazi criminals and terrorists (and the term "Armenian terrorism" was first officially adopted by the US State Department). Nonsense was a letter of Los Angeles City Council member Paul Krekoryan addressed to the Hungarian Consul General László Kalman, in which he expressed outrage over the "extradition of Azerbaijani homicide Ramil Safarov to Azerbaijan." However, the same Krekoryan filed a petition for pardoning of the Armenian terrorist Hampig Sasunyan, who in 1982 killed a Turkish diplomat, Consul General in Los Angeles Kemal Arikan and was sentenced to life imprisonment! Just a couple of days before Ramil Safarov’s release, Armenian organizations in Canada addressed the Canadian authorities with a strange letter, which in fact is an open support for terror, but unfortunately did not cause any condemnation from the American and European society. The fact is that the Armenian National Committee of Canada through its head Jirair Basmajian expressed their dissatisfaction with the permission of the Canadian authorities to establish a monument in Ottawa in connection with the 30th anniversary of the murder of an employee of the Turkish Embassy in Ottawa. Back in August 27, 1982, the military attache of the Turkish embassy in Ottawa, Colonel Atilla Altikat was shot dead in his car. The responsibility for the murder was assumed by the Armenian terrorist organization JSAG. And now, 30 years later, Armenian organizations insistently call upon the Canadian authorities not to establish a monument to this victim of Armenian terror! Did the world community forget that Armenian Catholicos Vazgen I visited Armenian terrorist Misak Torlakyan and blessed him in California in November 1968! This step is now regarded as "the heroism of Vazgen I who was not afraid of the Soviet regime" and went to visit and forgive the sins to an Armenian terrorist in the United States. Misak Torlakyan killed Behbud Khan Javanshir, an Azerbaijani statesman, diplomat, Interior Minister of the Azerbaijan Democratic Republic in Istanbul in 1921. 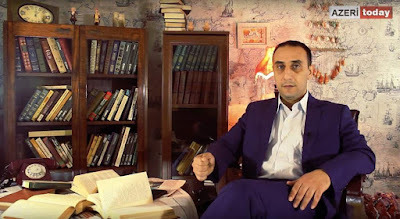 At the trial, Torlakyan lied that he killed Behbud Khan Javanshir because his wife, sister and their children were killed in Baku before his eyes, and he himself received several bullet wounds. However, in reality Torlakyan was from Trabzon, where his family was killed, and he had no relatives in Baku. In October, the tribunal found Torlakyan guilty of murder, but not responsible for his actions as committed in a state of affect. The professor-neurologist who examined the accused was of Armenian origin. However, the Turkish doctor, who also examined Torlakyan, showed no signs of epilepsy and mental disorder. Later, Torlakyan was deported to Greece, where he was released upon arrival, and ten months later he left for the United States, where he lived quietly until his death. On this occasion, the Armenian media reported that Armenian Catholicos Vazgen visited dying Torlakyan: "Misak Torlakyan, 80, was dying in bed in a hospital in California ... According to eyewitnesses, Patriarch Vazgen I visited Misak Torlakyan and blessed him laying down his right hand on the dying man’s forehead." "To understand this act, which seems to be ordinary today, it is necessary to consider it in the context of time: Misak Torlakyan was a Dashnaktsakan, that is, in the understanding of that time, ‘the enemy of the nation’. Moreover, he was a ‘terrorist’. In addition, he ‘shamefully’ killed one of the leaders of ‘fraternal Azerbaijan’", sneers the Armenian media. This fact can be called nothing but a direct support for terrorism by the Armenian church. Therefore, it's ridiculous to hear the patriarchs of the Armenian Church send indignant letters to the Hungarian government in connection with Ramil Safarov’s release. Why did the Armenian Church not get outraged and did not speak out when in 2006 the Armenian officer, the officer of the General Staff of Armenian Defense Ministry, Lieutenant-Colonel Pargev Abrahamyan, killed his sleeping wife with an ax! Or the ruined life of an Armenian woman and the cruelty of an Armenian officer do not cause indignation among Armenian churchmen, authorities and society? At that time the forensic psychiatric examination found the killer-officer completely sane and understanding what he was doing.